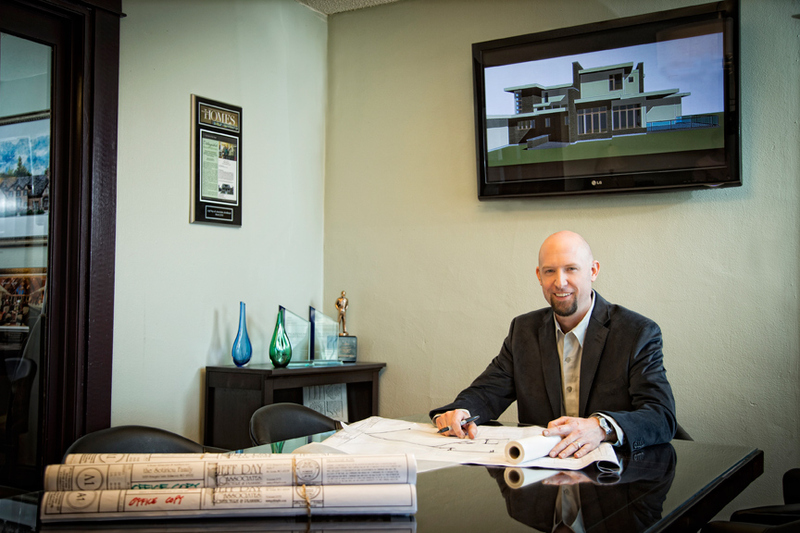 Jeff Day, founding principal of Jeff Day & Associates, LLC, shares the advantages of working with an architect. In business for more than seven years, Jeff Day & Associates, LLC, brings a collective 70 years of expertise to the table. Specializing in innovative, residential and commercial design, Jeff Day & Associates work in a variety of architectural styles producing projects that consistently and creatively satisfy each client’s needs. SLHL: Where in the process do you bring an architect on board – before you buy a piece of property? Or after? Jeff: In my opinion, it is best to have the architect on board to help you select the property. My company specializes in sustainable design, and in large part that includes passive solar orientation. If there are multiple lot options for the location of your home, it makes good sense to review all of your options and make sure that you find a good balance between livability and passive solar gain with the lot you select. This not only plays a role in energy costs, but just as important (or perhaps more importantly), it plays a role in the comfort and usability of your home. SLHL: Do you need an architect for a remodeling project? Jeff: This needs to be reviewed on a case-by -case basis. There are many projects that will require a licensed architect, typically dictated by the municipality the project is in. I recommend that homeowners contact their municipality and get a clear understanding of what projects do or do not require the seal of a licensed architect. Projects that do not “require” an architect’s seal might just as well deserve the eye of an architect due to challenges with the program, or perhaps the financial investment being made warrants a more creative approach than a homeowner or contractor might be able to provide. SLHL: How would you approach updating the exterior front elevation? Jeff: We have completed several façade renovation projects in and around St. Louis. Our approach to most of these projects is simple. We take a photograph of the home, and typically while on site we discuss likes and dislikes with the client. We then use the photograph to create hand sketches on buff paper to discuss with the client. In some more challenging cases, we field measure the entire façade so that while in the design process, we can be sure that what the client and we envision can be accomplished. SLHL: What architectural elements, both inside and outside the home, make a design contemporary/modern? Jeff: From era to era, contemporary and modern have meant different things. Frank Lloyd Wright’s work was considered contemporary and modern, Walter Gropius’ and Mies Van de Rohe’s work (in the same era) was also considered modern. The 50’s (and late 20th century) offered what we now call “post modern” and the 80’s and 90’s brought the creativity of architects like Frank Gehry and Richard Meier to great popularity. As of recent, what is seen as “modern” architecture with our clients includes: “minimalism,” that is, very simple clean lines, a lack of ornamentation and perhaps a one or two color scheme for the interior. We have also designed “modern” homes that use traditional materials, yet in a simplified approach that reduces or removes ornamentation yet arrives at a pleasant design.